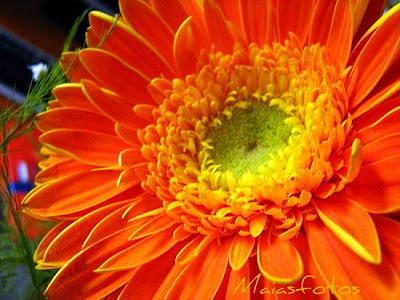 I have just a bright orange gerbera for today. These vivid colors are very energizing on these autumn days. Check out Macro Monday at Lisa's. Gerberas are so wonderful to photograph and yours is gorgeous. Thanks for stopping by. Enjoy the week. Gorgeous macro - those petals are exquisite! Nice and bright! Love it! !